Your Highness said “If you compare RAK to any country in the world it will stand out as being one of the most competitive places on Earth”. What are the factors that make RAK one of the most competitive places in the world? In RAK, if you are a creator, if you are an American or Swiss, if you are a private creator, basically it is a place where you try to create a place for everybody and to be a magnet for talent. It is a place where our greatest success is talent. Any country that does not know how to make itself a place, where people choose to live, will not be able to compete. At the same time, we are in the center of 2 billion people. We are in the center between Australia and Europe, between African and Asia; wonderful first-class logistics. 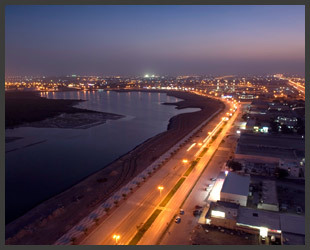 If you set up an industry, you have Port Khaled in RAK that is very competitive, very efficient. Over the past five years we have moved from three billion tons per hanger to 30 million tons per hanger. What is the appeal of RAK for tourists, people, and investors? Well for tourists there are three things: of course, a beautiful beach, the sun, and a lot of topography like the sand dunes and the mountains. But there is something else too. 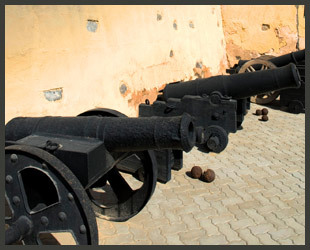 RAK has a special and very rich history. So that is what it is; the combination of those things. 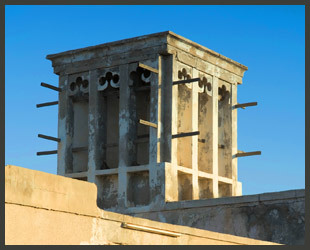 When you come to RAK and see the ruins of Al Bar, it is great archeology, it is a very rich environment. For investors, RAK is very user-friendly, corruption-free, competitive cost, with a wonderful lifestyle. How would you like to position RAK internationally and locally? How would you like to put it on the world map? I would like to imagine RAK being a prime choice for investors, where whatever he dreams he will find it here. We created RAK Investment Authority, a window that makes sure that last minute planning happens as fast as possible, an Authority that actually does understand the meaning of time, the cost per time. So they become a consultant for an investor, an advisor to him, and allow him to even improve because of their local knowledge here. When we interviewed Dr. Massaad he mentioned that when an investor comes here, RAKIA is a one stop shop. Yes, it is a one-stop shop. It is not just licensing; we care about success. We are selective, as well. We want someone who is coming here to succeed. We are not replacing the investor. We would like to see that those who are coming here are serious people who know their business and have a good chance of success. How do you assess your legal framework how do you differ in supporting of the companies? Actually, what we are trying to do is to make sure we make a legal framework that is fair to all. There is no difference between France and Japan, for example; they are the same thing, and justice is justice. That's what we are about. There won't be any particular support for the domestic companies over international companies? Yes, that's what we want to do. Our society here is very international, and our judges include expatriates and not citizens of the UAE only. How do you assess this relationship between the private and public sectors, and the support between each other? Government is most important company in any country. It has to work in business management because the head of the department must understand the cost of production, and what it means if he delays somewhere, he has a huge impact with consequences for the business community. Very important is that we entertain the culture of business here, because if the government helps create and allow a business environment, the country becomes richer through attracting investors and allowing growth to happen. Several sectors have recorded excellent growth in recent years, with tourism, construction, manufacturing, real estate and financial services accounting for 57% of GDP in 2005. 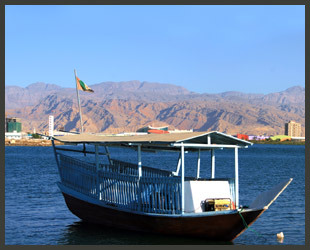 RAK’s economy is well diversified, as you are not dependent on the oil reserves. You have planned to diversify your economy. What is your path to the future? The road map is a key for us. It is to develop our economy, to become a modern economy that allows good per capita income. We are concentrating on developing tourist attraction. We are creating many projects for that such as Marjan Island, Al Hamra Village, Saraya Island?, and we develop our mountains to become another Lebanon for the Gulf, where people can enjoy the different climates of the year and a different atmosphere and environment. At the same time we are creating development so that the industry can become not just for us but for everyone who comes here. We have industrial parks that allow people to key to success of the present industries. They are happy of the response and the growth and attraction of new countries coming. You mentioned that you are developing mountains. One of the most unique projects will be to build a ski station in this part of the world. Our value is what we create. Our mandate in life here is: what we are is what we add. 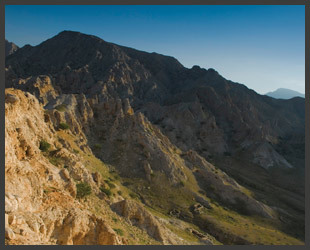 So we want to develop our mountains, to complement the rest of the environment of our emirate so people can enjoy nature here in RAK, to walk through the mountains. I think the technology will be wonderful when you come from Europe and can still enjoy skiing here. It is near the mountains and ski in the same day. Governments should hear how to add happiness, how to add prosperity, how to add to the welfare of the people. You mentioned that you are "creating heaven for the entrepreneurs." How important is entrepreneurship for RAK? For any country, it is like this: we do not serve entrepreneurs, we serve ourselves. Because the key for growth is entrepreneurs, locally and internationally; both of them want to succeed, both of them want to make money. Through this creation of wealth a country gets richer. We want to create a place that is corruption-free. We don’t take away the business risk but will take away the non-business risk and will help the people to succeed, to create a master plan for people who want to invest in hotels, to create a master plan for people who want to invest in malls, to create a master plan for people to invest in factories…to allow the entrepreneur the legal framework to do it. It is vital that we create the right crowds and environment for the entrepreneur to blossom. In your opinion, what are some of the obligations of the public sector in the creating of this haven? S: There are bridges to prosperity. Public partners have to understand their vital role as to how to become part of the engine of growth, how to help the economy to grow rather than creating obstacles of their own. It is how they become themselves business-oriented. We want to create a government that understands things that help business, instead of becoming a burden on the society they become an asset. The government is predicting that by 2020 the city's sub-200,000 population will leap to over 750,000. How will you manage and cope with this influx? We are trying to create in RAK a place for the talents of the globe. Our growth, our prosperity depends on becoming attractive to those people. They come, our prosperity grows. This is how you imagine the city in the future? Yes of course. Look after the infrastructure; how we create a society that we really have a sustainable environment. So in this context will RAK become a cosmopolitan city? Yes, I want that to be the case; for RAK to be an international city. I want people who find it by choice. I want everybody to say 'Oh I can live here and I want to live here.' Because cities or societies, no matter how we create our own unequalled entrepreneurs and educated people; still, to reach our full potential we must allow ourselves to welcome others, to let them find themselves citizens in this emirate and partners in the growth. You know, people are not going to come here just for vacations and stay. They still have to find jobs and investment opportunities. So it is not just one step that we have to cross, it is several steps. One of the priorities of the government is education what are your plans in this sector to achieve a strong social development? His Highness my father was a great achiever, well-known for his love and passion for education. He knew that to be or not to be is actually to know or not to know. So from day one, he made all of the population have mandatory education. He used to pay special respect to teachers, because he knew that only through respecting teachers can you actually re-engineer the status of what education is. What we want to do is go back down the same route, and emphasize education, building universities and making education our top priority. What kind of education are you looking into? We are building first-class schools here, so we can attract people to come here who are looking for good schools for their kids. We look after that and provide part of our development for the development of first-class schools. This may as well facilitate strategic partnerships with universities' technology and expertise in becoming an information hub. In the local or regional context, how do you assess your relationship with the other emirates in the UAE? Is it more about complementarity or competition? I was born in Dubai, and I like Dubai, and when I go to Abu Dhabi, I love Abu Dhabi, but of course I do love RAK. I think that people from outside say where the competition is. As each emirate gets richer, what it does is becomes a better business partner for the other emirates. Not just locally, but globally. As other countries become richer, they provide us with more opportunity to do business with them, and that is how I look at it. I look at it as a drive to develop the whole UAE. Each one of us, each emirate, must drive fast to develop the whole UAE. You see what is happening in Dubai and Abu Dhabi, Sharjah, etc. You have started many venues, conferences, and exhibitions such as Ras Al Khaimah Real Estate and Investment Show (RAK REIS). What is the meaning of these events for RAK and what other activities are you doing to raise awareness and recognition? I think people who can come will always come. Reality is that still, at the end of the day, you have to make yourself known. You still have to reach people. Because one of the limiting factors in all of our lives is time. So quite frankly, what we need to do is to allow ourselves to be known. To tell them, not fiction, but facts. Because that is what will succeed at the end of the day; facts. This is our mission. As I told you, we are interested in successful partners and successful investors. So factually-speaking it is much better. Otherwise still, we have to reach people to tell them the story. How do you bring RAK to attention internationally? It is my duty to go wherever, whenever it is required. But at the same time, the real message is what we deliver on the ground. Do you see some development in this area, in the relationship with Europe and Asia? I think we are a middle country. So we have to develop relationships with the whole world. I look at the region as more or less in good times as business partners, and in bad times we are a safe haven. RAK is focusing on socio-economic growth. How important are people and how important is the economy? As you mentioned, you are trying to industrialize but industrialization is has negative environmental consequences. How are you going to liaison these two? I don't think we have to make a choice. Sometimes in these situations it is not all black and white. I think what we are trying to do is actually to enhance the environment, by trying to enhance sustainable environment. We are actually very selective about that. We are a small country and we have to make sure that we look after the beauty, like some of the activities we do in Amir Al Arab; we are actually taking care of the environment. The environment has a lot of value which we have to seek and we have to maintain. Both do not necessarily have to compete with each other. I think we have to see how we can have an economic impact without destroying the environment. Imagine a person living in RAK in five or ten years. What would it mean for him to live here? 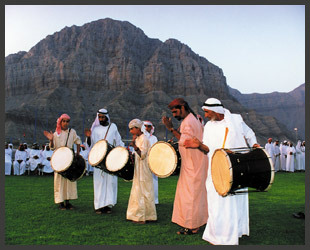 Your Highness said that Ras Al Khaimah is the place where age-old traditions and modern life co-exist in harmony. 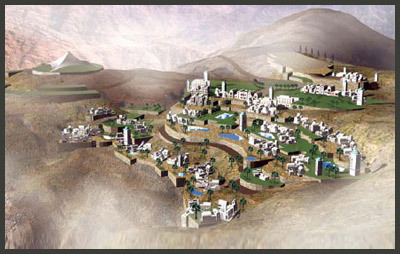 The vision is to make Ras Al Khaimah realize its tremendous and hidden potential. In your own words, how would you describe this “hidden potential”? Two hundred years ago, RAK was not a city. They had 20 thousand ships. It is very shocking; the success of our grandfathers is a testament to our duty to create greater success with the needs we have today. Basically we have beautiful nature, and it is in the middle of a very enterprising continent; Asia. We are next to Africa, which is being looked at as to how to make it become another enterprising continent. We are next to Europe. So we are actually in the middle of the world. This brings us to another question: in your own words, how would you describe your identity? What is RAK Brand representing? Hospitality and entrepreneurship. And I really believe it as well. It is quite internationally-oriented. Our history has been going through its beautiful world, so it must be our future too. At the same time, you are trying to achieve tremendous economic growth, but this may threaten your cultural identity. Is this a cause of concern to you? I have the same question! A diamond doesn't lose its beauty by being polished. We have endured in the past. We will endure even better in the future. It is very important to know not only how to live with ourselves in this age, but how to live with others too. Because we are members of the same world. What happens in china affects us, what happens in America affects us. We are the same people. We are unified by this fate, of being on the same globe. It is imperative for us to learn how to live with each other, how to respect each other, and how to become part of each other, how to become proper soldiers. All of us, we have the same fears, we have the same hopes. Basically, if we scratch our skin, and go a little bit deeper, we will find we are the same. As the final message to our audience what is your 2020 vision for RAK? How do you imagine the place? And what is your personal ambition for it? My hope and dream is that RAK will become a place where the future is made. A place where people are not dreaming their work but are working their dreams. In 2020 I hope we can of this great enterprise to become masters of our destiny, and to become a model of how people can love each other, respect each other, work with each other in good respect and in a good atmosphere.